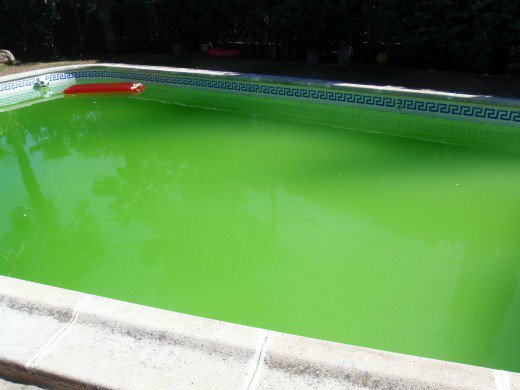 Green or cloudy water may be the result of poor bacteria growth in the biological filter. Weekly use of Pond and Fountain Protector to feed nutrients into the biological filter. The condition of the pond should improve with a week or two. Should green or cloudy water continue beyond two weeks check the size of your biological filter. Many small ponds have too many fish and that exceeds the size. There factors should be taken into consideration when choosing a filter. (Algae known as blanket weed or hair algae.) This particular weed has the ability to grow on rocks. Sometimes becoming as long as 3-4 feet. A little blanket weed for a pond is natural. It can harbor microscopic aquatic life such as zoo-plankton and protozoa. These creatures act like a vacuums that feed on algae. There are many products that attempt to control blanket weed. Barley , which we recommend, is less abrasive to aquatic life. Products that release vital oxygen will break down the cell walls of blanket weed and are very good for cleaning waterfalls. Most algaecides, if overdosing occurs, can kill not only the aquatic plants but the fish as well. Hand cultivation is time consuming but the most practical of all measures.